15 Best Bookmark-lets For Bloggers To Have a Great Browsing Experience! Browsing is very popular these days. Everyone who has access to the internet uses some sort of browser. Every day, people are looking for new ways to improve their browsing experience. Before, browser developers had to provide new functionality with updates. Then, some developers sat together and started adding their own functionality to their browsers. Hence developed the concept of plugins, extensions and add-ons. Now though, there has emerged a new, simpler concept of bookmark-lets, which is growing in popularity. Using these tools, you can get all the functionality of plug-ins at your fingertips, and hence increase your browsing speed. In this post, I will tell you what bookmark-lets are, how to use them, why use them, and then I will share some popular bookmark-lets that I use or have used. A bookmark-let, also knows as a favlet, is sort of a small applet that is stored as a URL of a bookmark in a web browser. This applet can provide as much functionality as a standard browser plugin provides. But most of the processing is not done on your computer, which means that bookmark-lets are less resource-intensive. Just like plug-ins, bookmark-lets can also provide a wide range of functionality. From translating, to formatting a webpage for readability, there's little bookmark-lets can't do. Installing bookmark-lets is extremely easy. And I mean it! There's no downloading or installing required. Simply, click on the links that I have provided below in my list, hold down your mouse button, and drag-and-drop them in your bookmarks tab in your browser. That's all there is to it! For some favlets, you might have to sign-up with your email address and name. But that's pretty much it! Following is a short tutorial on how to use bookmarklets. Although it just shows how to use the Capture Screenshot bookmarklet, the procedure is the same for most bookmarklets. Plug-ins are getting messier and messier. First of all, my argument with them is that, they take up your computer's resources, i.e. processing power, memory etc. And they are constantly increasing their functionality, which means they are becoming more and more resource-intensive. 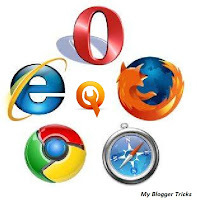 If you are using Google Chrome, and you are running plug-ins with it, you might have noticed that often times,when you open many tabs,one of the plug-ins is bound to crash. And it takes the whole browser down with it. Many other people have the same problem. And I came to know recently that FireFox is starting to hang up as well due to multiple plug-ins. The bottom-line is, a crashing browser isn't very user friendly. Then is the compatibility issue. Each browser needs to have a separate version of a plug-in. And with each subsequent browser updates, the older plug-ins become incompatible. Bookmark-lets are not only cross-browser compatible, they also work with newer versions of the browsers, since most of the processing is not done on the user's computer. In short, bookmark-lets offer a simpler, more concise alternative to plug-ins, and there are many reasons you might want to try them out. Sphere it is a sort of a search engine, and it looks up webpages hat are relevant to the page you are currently on. This small tool can shorten URLs for you. It makes use of the bitly service, which is better than TinyURL. This tool lets you capture a screenshot of the webpage you are viewing, and upload it to Flickr, Evernote, and other such services. This is a web developer's favorite tool. Click on any paragraph,image or table to find out its source HTML, dimensions, and other properties. Some websites don't have a search option of their own, or that option is hidden somewhere. But using this bookmarklet, you can still seek out anything you want on that site using Google Search. This is one of my favorite bookmark-let. It lets me read web articles in an unobtrusive manner. It can change the layout of a page in ebook or newspaper format, and you can choose a clear background, with formatting options for the text. Perfect for reading long articles. If you are afraid of making mistakes in creating new passwords online, or if you want to double check what you typed in, then this is for you. I use it sometimes too, but only when no one is looking at my screen :P. Anyways, this tool will show you your passwords as you type them in. Based on the current page you are on, this bookmark-let will let you know who is linking to that page, and who is talking about the content that you've selected. This is an really good time saver. I often come across articles on websites that require me to login first before I can read that article. In that case, I use this tool. It makes use of some already created 'free' username logins, created by other faithful users. That way, I don't have to sign-up for an account to read that article. When I want to find out information about a website, I use this tool. It tells me what web technologies a website is using, such as web stats programs, advertising partners, web servers etc. This lets you download a webpage in PDF format, so that it can easily be forwarded via email etc. Using the Google Trends service, find out how popular a website is. If you like something on a webpage and want to blog about it, use this favlet. You won't have to visit blogger every time. When you use this tool, a mini editor opens up which contains a link to the page you're on. If you have selected any text, that will show there as well. Select some text on a webpage, and press this bookmarklet to instantly compose a new email! With this bookmarklet, I can translate sentences on a web page from any language into English, thus saving me time to go to Google Translate and write down the words. Top 10 Firefox Add-ons for Web Designers! Nice List Bro.. How to Make Our own Bookmark lets. Recently Posted Get High PR Dofollow blog and edu Backlink List free ! Are the title sub headers clickable as all the clickable are not working. yeah Qasim Fix please Links this is a huge information. @miloud bougrinehey man there's nothing wrong with the links. Just drag and drop them in your bookmarks bar and then use them with any site that you want! seo is the process of getting traffic from the “free,” “organic,” “editorial” or “natural” listings on search engines. All major search engines like Google, Yahoo and Bing have such results, where internet pages and alternative content like videos or native listings are shown and ranked based on what the search engine considers most relevant to users. Payment isn’t concerned, as it's with paid search ads.